» Full texts and XML articles are available in ISC-RICeST, DOAJ and AGRIS. 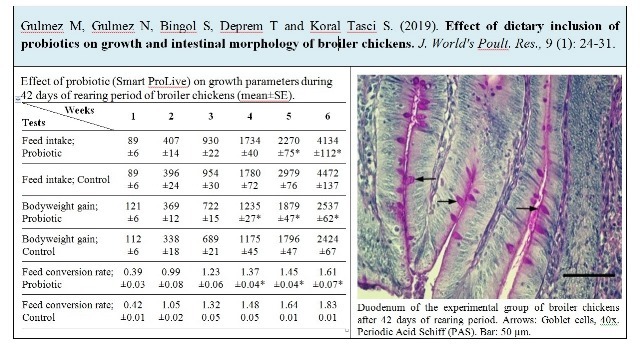 Effect of dietary inclusion of probiotics on growth and intestinal morphology of broiler chickens. 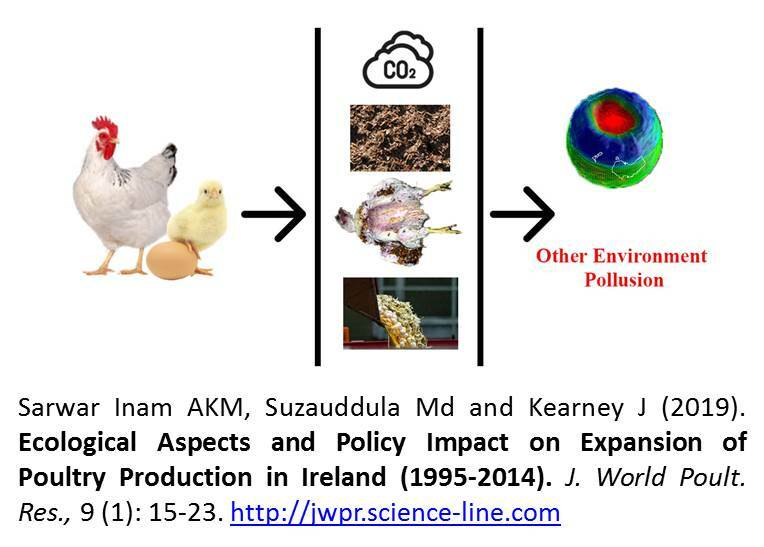 Gulmez M, Gulmez N, Bingol S, Deprem T and Koral Tasci S.
Ecological Aspects and Policy Impact on Expansion of Poultry Production in Ireland (1995-2014). 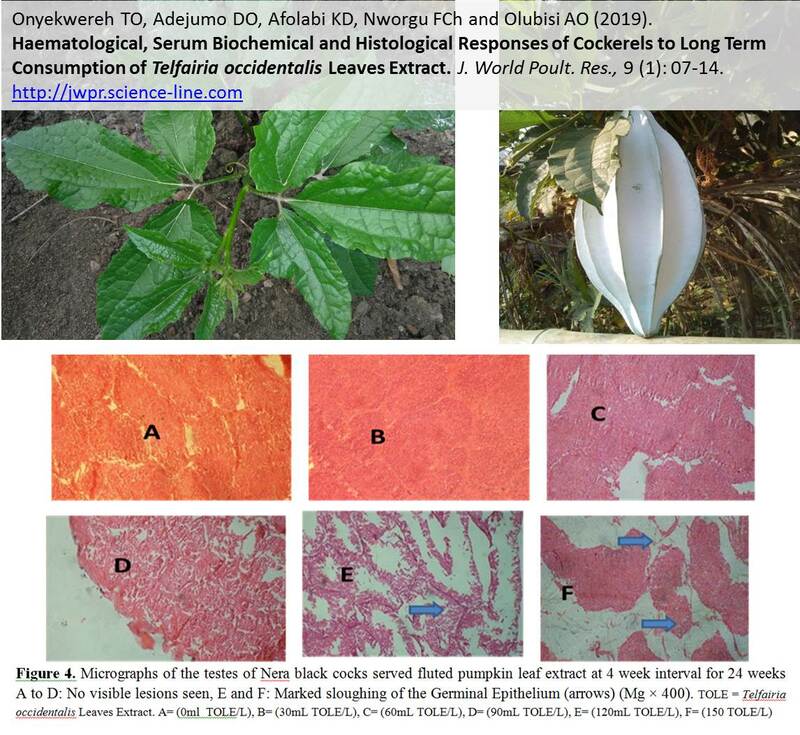 Sarwar Inam AKM, Suzauddula Md and Kearney J.
Haematological, Serum Biochemical and Histological Responses of Cockerels to Long Term Consumption of Telfairia occidentalis Leaves Extract. Onyekwereh TO, Adejumo DO, Afolabi KD, Nworgu FCh and Olubisi AO. 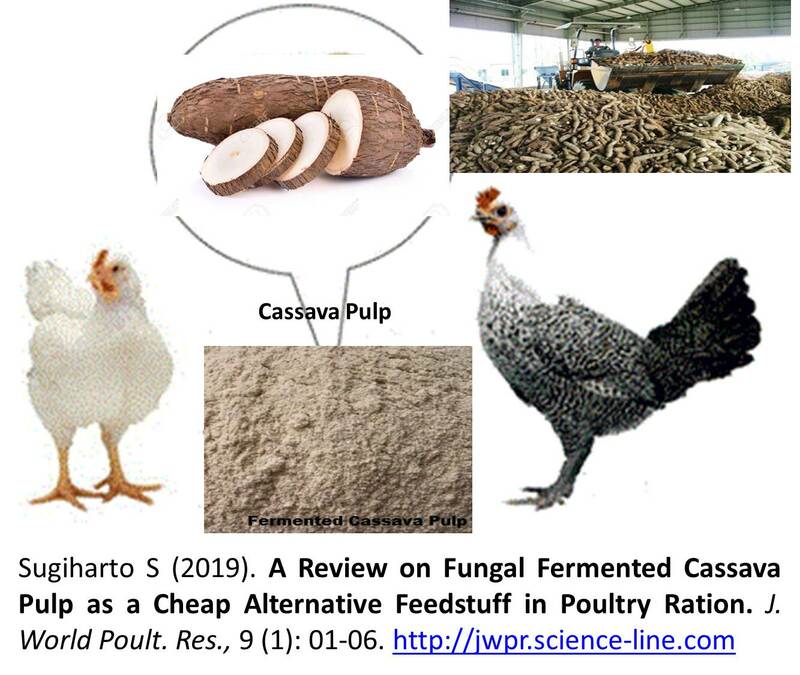 A Review on Fungal Fermented Cassava Pulp as a Cheap Alternative Feedstuff in Poultry Ration. 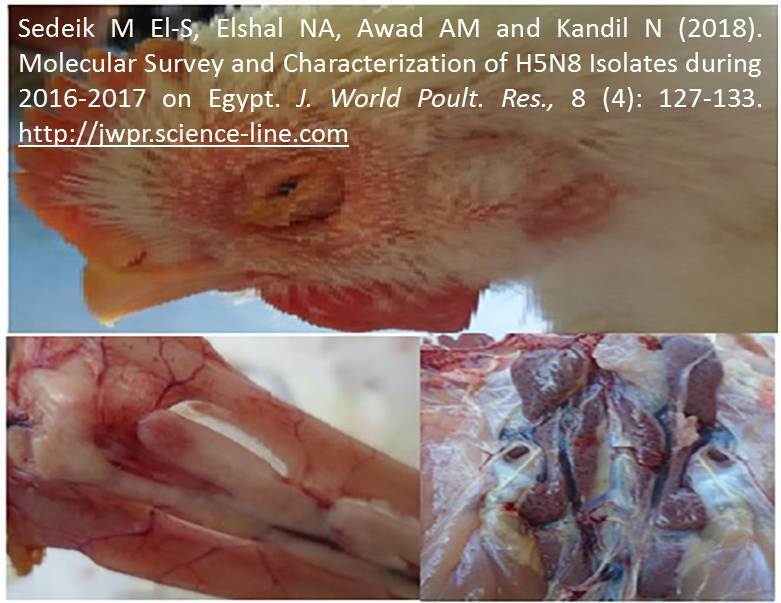 Molecular Survey and Characterization of H5N8 Isolates during 2016-2017 on Egypt. 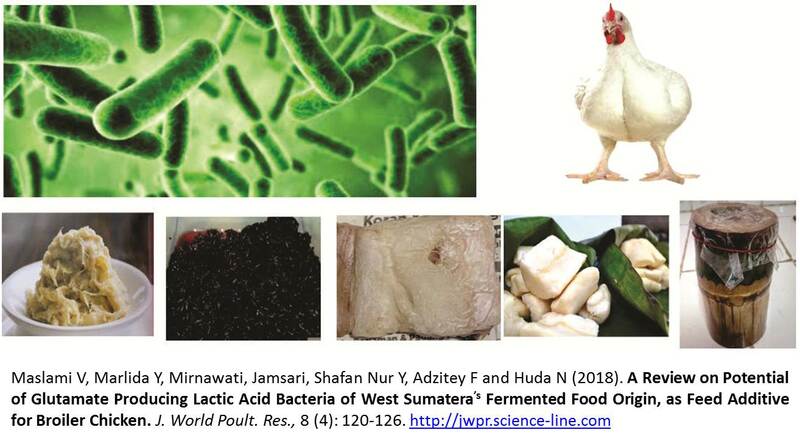 Sedeik M El-S, Elshal NA, Awad AM and Kandil N.
A Review on Potential of Glutamate Producing Lactic Acid Bacteria of West Sumatera’s Fermented Food Origin, as Feed Additive for Broiler Chicken. Maslami V, Marlida Y, Mirnawati, Jamsari, Shafan Nur Y, Adzitey F and Huda N.
Comparison of Three Lines of Japanese Quails Revealed a Remarkable Role of Plumage Color in the Productivity Performance Determination. 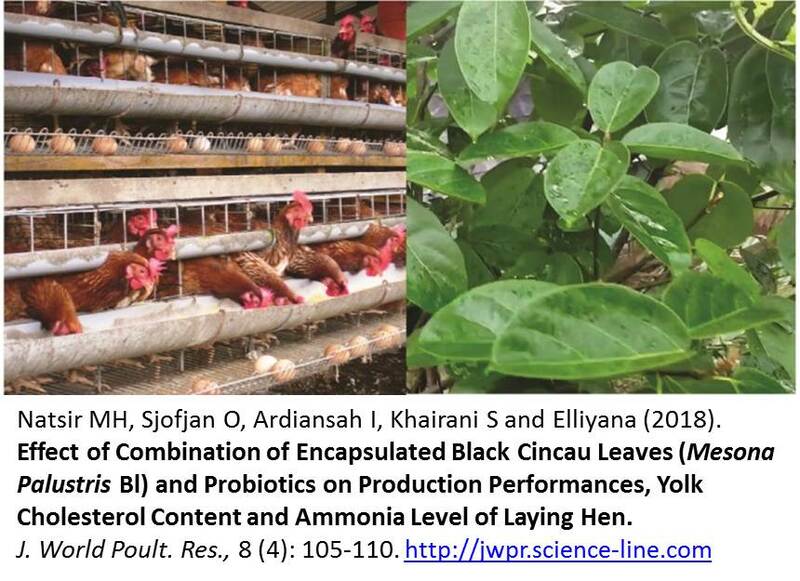 Rasol Al-Kafajy F, Sahib Al-Shuhaib MB, Salah Al-Jashami Gh, Mohammed Al-Thuwaini T.
Effect of Combination of Encapsulated Black Cincau Leaves (Mesona Palustris Bl) and Probiotics on Production Performances, Yolk Cholesterol Content and Ammonia Level of Laying Hen. Natsir MH, Sjofjan O, Ardiansah I, Khairani S and Elliyana. 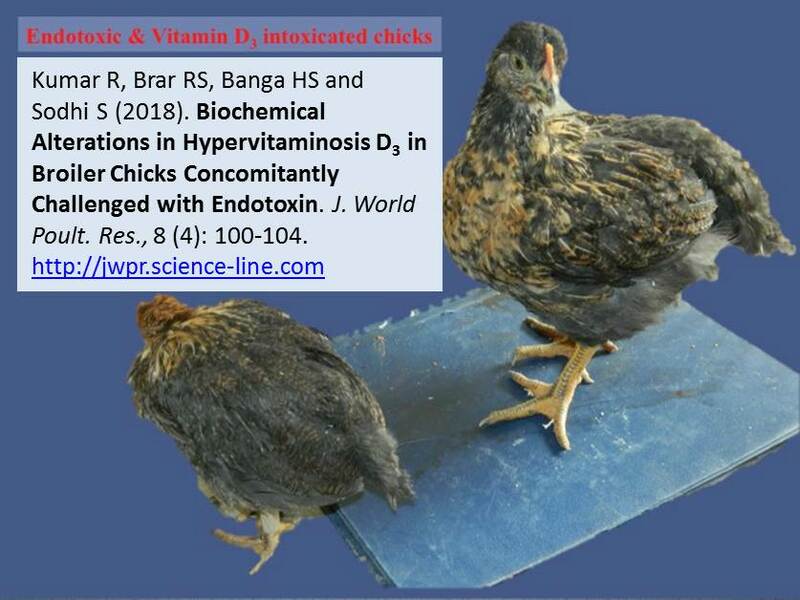 Biochemical Alterations in Hypervitaminosis D3 in Broiler Chicks Concomitantly Challenged with Endotoxin. 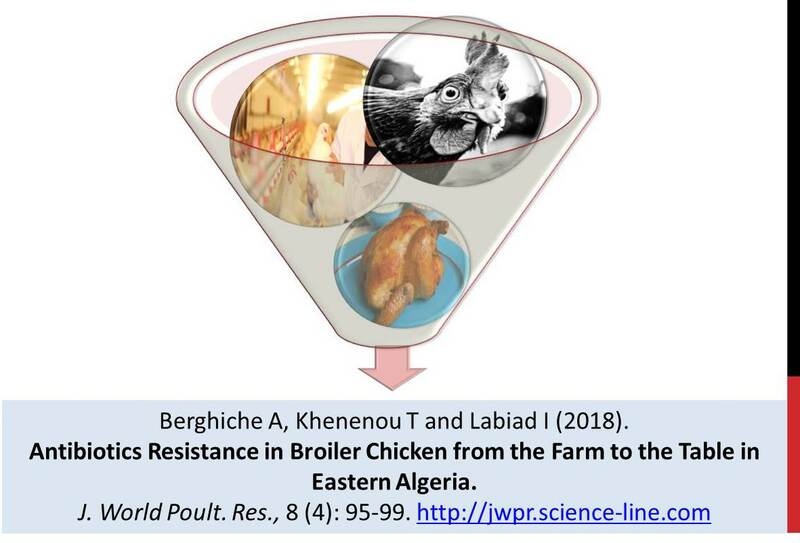 Kumar R, Brar RS, Banga HS and Sodhi S.
Antibiotics Resistance in Broiler Chicken from the Farm to the Table in Eastern Algeria. Berghiche A, Khenenou T and Labiad I. Survey of Highly Pathogenic Avian Influenza Virus (H5N1) and Its Reoccurring Threat: A Brief Review on Different Quails Worldwide. Arya Kh, Gupta R and Laxmi Saxena V.